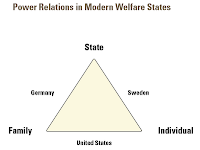 Tyler Cowen explores The Nordic Triangle over at Marginal Revolution, which posits a triangular relationship between the Family, the State and the Individual. The model comes from a Swedish study, reported in a fascinating report on The Nordic Way. The suggestion is that different axes dominate in different countries. 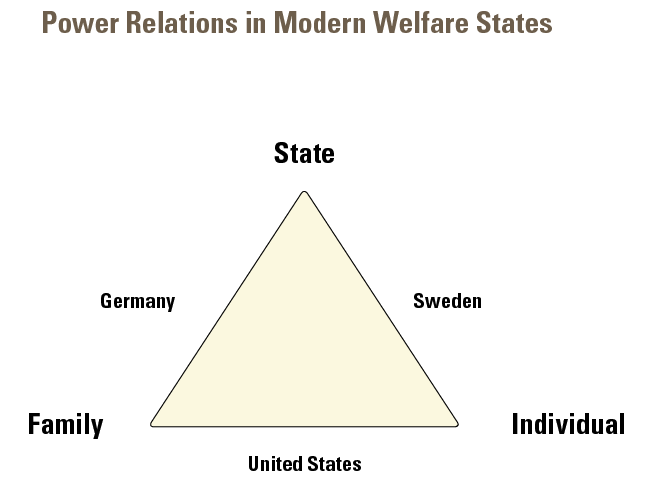 In Germany the Family-State axis dominates, in Sweden it is the Individual-State axis. The United States is dominated by the Family-Individual axis. 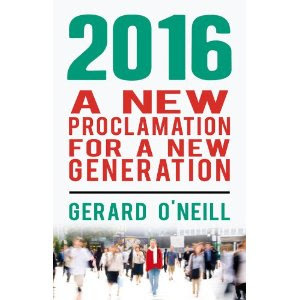 Which got me thinking: what about Ireland? I think we are moving from Family-Individual axis dominance to a more dominant Individual-State axis. But such are the volatile times that we live in that I expect we'll keep moving: probably towards a more German Family-State axis arrangement. Why? Because of Peak Government: the Nordic Individual-State model is very expensive (as the State must fund more of the activities otherwise the responsibility of the Family) and, well, very Nordic (especially in relation to their highly secular/high trust culture). Of course, the Family-Individual axis is the least expensive welfare arrangement, and is probably where we'll all end up anyway as sovereign defaults becomes more widespread throughout the developed world in the decades ahead. Or even next month. Correction: that should have been 3% of GDP (which I correctly used to calculate the nearly €5bn figure for Ireland). Even at that, it's still a lot!